A very common wildlife problem happens when squirrels enter a home and occupy different places, especially, the attic. It is very convenient to invade a house because so many places in the house make great squirrel habitat. They live in the eaves or soffits or above a ceiling. These dwellings are dry, warm and safe for them just like tree hollows. Even the smallest holes can make their way to enter homes. 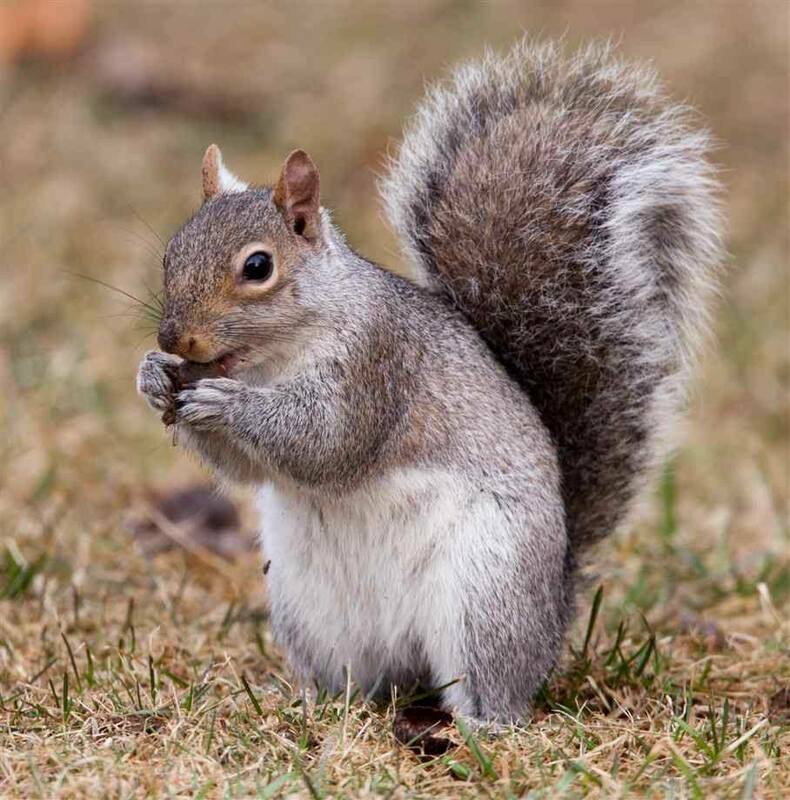 The eastern gray squirrels are the most common countrywide. Most of the time, the female squirrels makes themselves comfortable in your attic to give birth to their babies. An attic is a difficult place for a predator to approach. Therefore, squirrels develop the feeling of safety for its young ones. They are also found in the household gardens where the tree seeds and bird feeders become a source of their diet. They are mostly active in the morning and cause a big nuisance. How to Identify a Squirrel Problem? There are so many indicators showing that you have got squirrel problem. The noise made by squirrels is the primary indicator. Quick scampering, pounding and scratching sounds coming from attics, walls, or chimneys, is the clear sign of squirrels dwelling in your house. They cause a lot of damage, if you notice any damage to the home such as gnawed holes or urine stains seeping through ceilings, chewed wires, attic insulation damage, marks on the walls, they are squirrels. An additional indicator is a highly unpleasant smell. Moreover, squirrels make your gardens their target when they are in search of food. Missing birdfeeders, nests in the trees, and eaten plants are the signs you should also take notice of. One of the most efficient ways to get rid of squirrels is trapping. 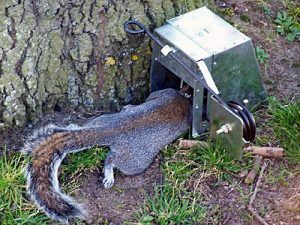 Choosing a right kind of trap can give the best solution to your squirrel problem. You can choose different kinds of traps and in various sizes. Mainly there are two types of squirrel traps, live traps, and spring traps. Pocket gopher traps can also be used to catch squirrels. Choose the best trap and place appropriately to catch the squirrels successfully. Usually, the squirrels we find in our houses are ground squirrels. Therefore, live squirrel trap is recommended to catch them. This trap is also known as a cage trap. Live-catch wooden or wire traps are also on the list of traps. You can easily make a wooden trap by yourself. If you already have a wooden box, you can make it squirrel trap through little modifications. Then there are tube traps. They are considered to be natural attractant and are very effective. These traps are readily available and straightforward to use. The trap should be of a proper size so that squirrel can easily fit in. Baits like fruits, bread crusts, and peanut butter, are placed inside these traps. Squirrels are attracted to these baits and try to approach which, in the result, get them inside the trap. There are two categories of live cage available- one door live traps, and two doors live traps. Solid door lock which makes it impossible for the squirrel to escape. Durable and rust resistant material. Two doors make these traps versatile; squirrels can get caught from either of the sides. Two spring loaded doors; making it easy to set. Sensitive triggers to ensure safe capture. Place the trap on the pathways of the squirrels. The trap should be on the flat surface. Try to figure out all the ways a squirrel uses to enter the place. Most common areas where the squirrels travel are your attic, base of a tree, near bird feeders on the roof. These are great trap locations. It is best to place the trap at one of these places. If you are not sure of paths, set the trap close to damaged areas. Once squirrels trap is chosen, and the place is determined, the next step is to choose right bait so you can entice the squirrels to the cage. Fruits, walnuts, bread crust and peanut butter are the best baits. Avoid using meat and dairy products. What you have to do is to position the bait well inside the trap. If the bait is rightly positioned, the squirrel has to get inside to have its favorite food. Mostly, bait is placed on the trigger plate. Now set the trap by carefully following the step-by-step instructions given with the trap. Video instructions are also offered sometimes to make it easy for you to set the trap. When you set the trap to make sure that you have placed enough food for the trapped animal to survive. Squirrels should not stay trapped for an elongated period; they quickly get hungry and can starve to death if you do not keep the eyes on the trap. You should have a check on the trap from time to time to release them soon after they are caught. Once the squirrel is trapped in the cage, carefully take them out. Wear gloves to hold them and avoid direct contact; they seldom bite when feel threatened. Displace the squirrel at least 10 miles away from your place. Prefer some wooded areas or forests instead of leaving it near someone else’ house or consult the wildlife specialized squirrel catcher to relocate the animal. When the measures like installing a barrier, displacing the attractants and using squirrel repellents fail to keep the squirrels away, the only option left is trapping. You should deal carefully while trapping. Avoid quick-kill type of traps which kill the animal instantly. Prefer the live cages such as spring-loaded jaw traps, foothold traps, cable devices, and cage traps because these are non-lethal solutions to the squirrel problem. Try not to capture the adults that have dependent Contact the professionals of wildlife rehabilitators. Keep a check, do not make them stay in the cage for an extended. Deal with them in a humane way. 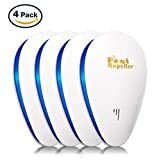 Capture them alive and release at the places far from your house. Easy Set® Trap from Havahart® is durable, rust- resistant and easy to set. It has Spring-loaded doors and sensitive triggers that guarantee safe captures. It’s stable door lock makes it impossible for the squirrel to escape. It is very easy to transport with its plastic carry handle which also bounds the contact with the animal. Its interior is also comfortable to the animal. The beginner trapper must go with this option. 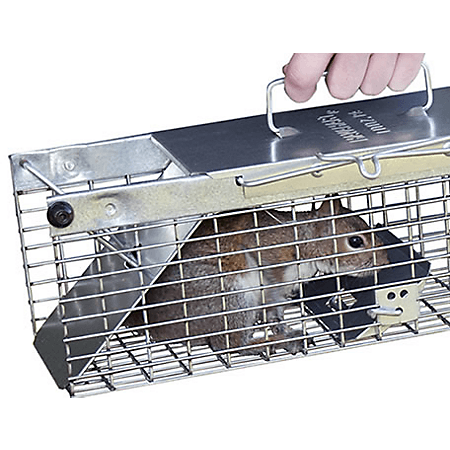 Havahart® one door live squirrel traps are not only effective for professionals but also easy for the inexperienced trapper. It is designed with sturdy mesh, and the steel is underpinning for long life and rust prevention. The narrow opening in the mesh avoid escape and bait loss. Spring loaded doors and triggers are also important features. Animals are safe from injury in this trap due to the safe interior. It has two spring-loaded doors and sensitive trigger which make the setting easier. Manufactured with high tensile wire mesh and steel plated to make it more durable. 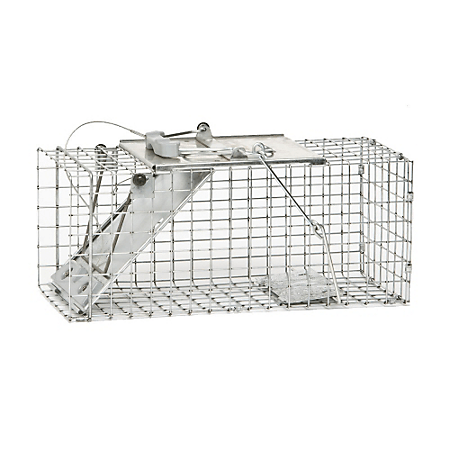 The Havahart® Live Animal 2-Door Cage Trap is available in 3 sizes to put up the variety of animals such as squirrels, rabbits, and raccoons. This is just perfect for nuisance animals. 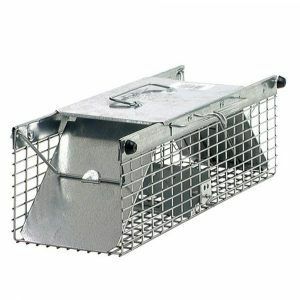 The Havahart® Small 2-Door Live Animal Trap is well assembled and is designed by trapping experts. You are not supposed to be an experienced to use this trap; it is easy to use. The trap is carefully designed to capture the animal in an efficient way. The trip plate of the cage is made sensitive so that small animals can also trapped. Bait is difficult to be stolen due to smaller mesh openings than the competing traps. Making animals suffer unnecessarily is inhumane. Although animals should be treated humanitarianly, still there are traps available in local markets that source killing. Concentrated sulphur is used to kill the squirrels in the form of gas sticks. These are like small cylinders and used to poison squirrels through fumigation. Some people avoid wasting time on buying traps, catching and releasing. They just want to get rid of squirrels instantly. So they prefer poisoning them. For that, they practice poisoning through ethylene glycol. Wild animals are easily killed by Antifreeze. Poison baits are also found which contain sodium fluoroacetate. 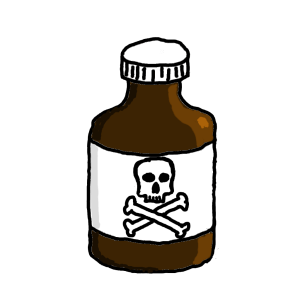 There are numerous other poisons available in the market that can kill squirrels, but none of the poison available is registered. This is another way to kill animals through bolts of electricity. Electrocution pad carries the electric current, strong enough to kill the squirrels if they walk on it. This is an instant killer technique. Anti-coagulant bait has severe anemia in it which is deadly for squirrels, for instance, poisoned peanut butter. It can be placed in different locations where the squirrels eat them and die. This bait gradually affects the animals. Choosing a right bait trap is imperative. A squirrel bait should be something that attracts the squirrels. These species are always in search of seeds, fruit, and nuts, provide them these as bait. Likewise, peanut butter is the most common, but oranges can also help. 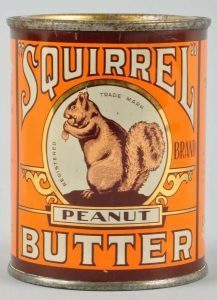 A variety of squirrel bait is also offered in the market such as squirrel butter, squirrel jelly, and squirrel mix trail. Squirrel butter contains peanuts which are the best to tempt squirrel because they love to eat peanuts. Only a small amount of it is enough. It can last for a long time. Wildlife professionals also find it useful. If the nuts do not work, try squirrel jelly. This bait is fruity and contains peanuts too, and prove to be a good attractant. A range of this jelly can be found in the market. Using squirrel trail mix create a rambling scent in the trap. This scent attracts the squirrel to the trap and is very successful. No additional bait is needed if you are using squirrel trail mix. Squirrel trail mix is not very common and sometimes highly underrated.